The pickup truck wars are moving into the heavy duty realm with automakers focusing on bigger, more capable and more fun off-road. GMC is using the same criteria for its 2020 Sierra Heavy Duty trucks that it uses for its GMC Sierra. GMC is promising that the heavy-duty trucks will be bigger, stronger and smarter. 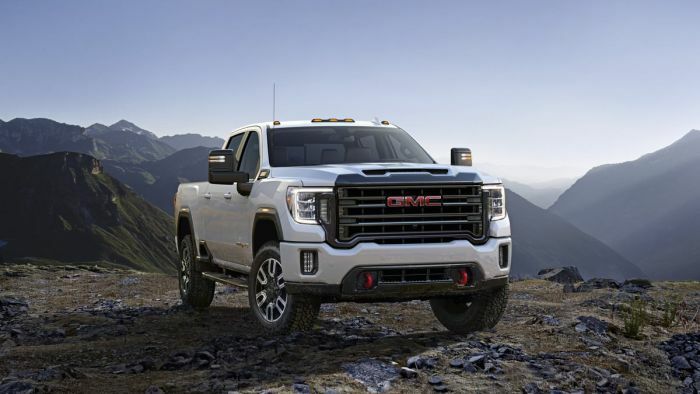 With a new 2020 GMC Sierra HD AT4 version, the trucks will also be more agile off-road. The 2020 GMC Sierra HD AT4 will sport a special grille surround and body color front and rear bumpers. The special grille will be black chrome and the truck will have distinctive red recovery hooks.